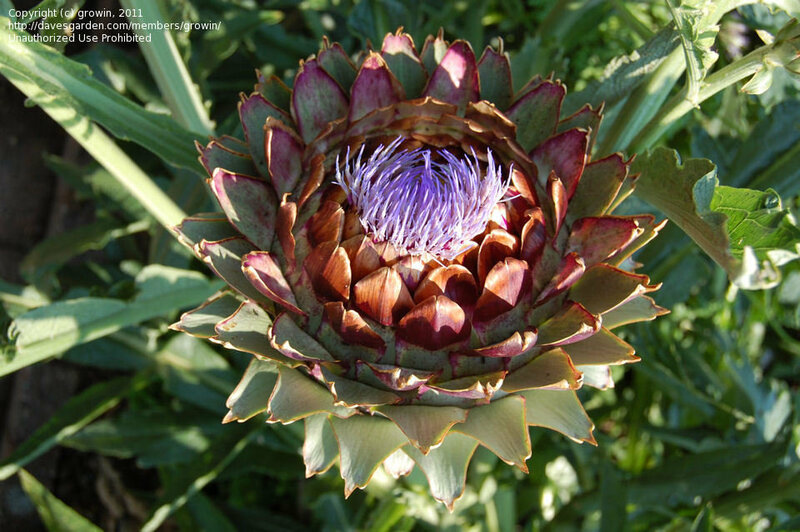 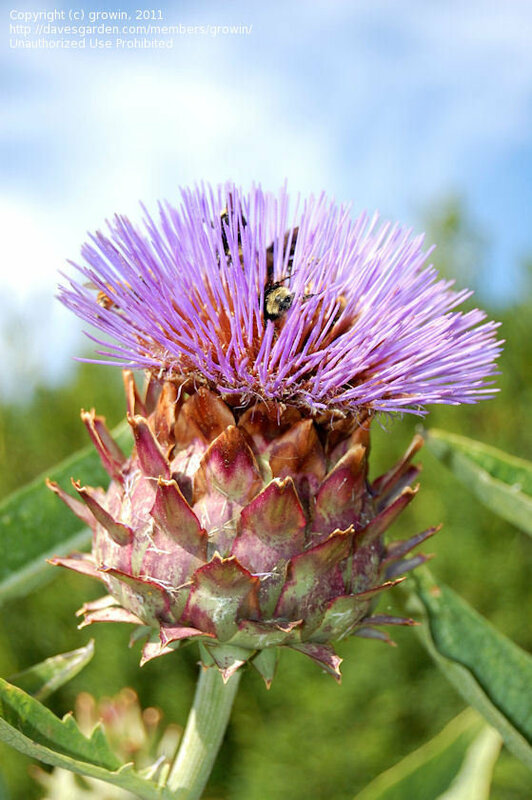 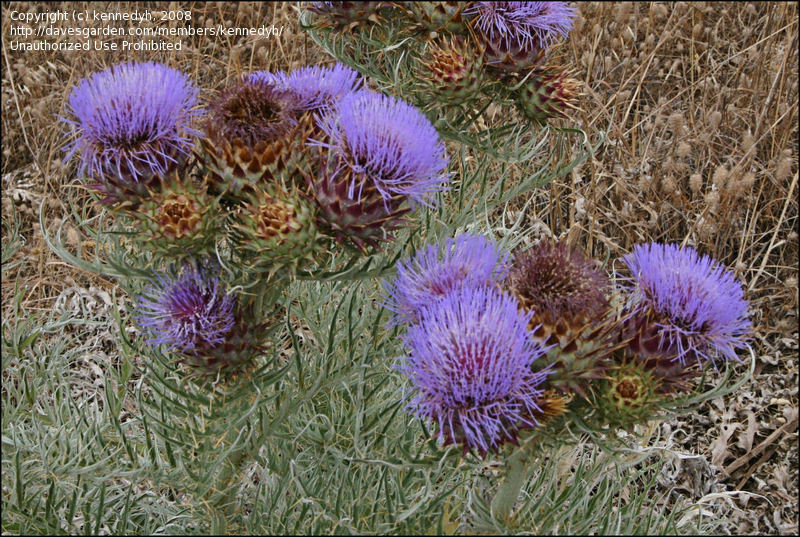 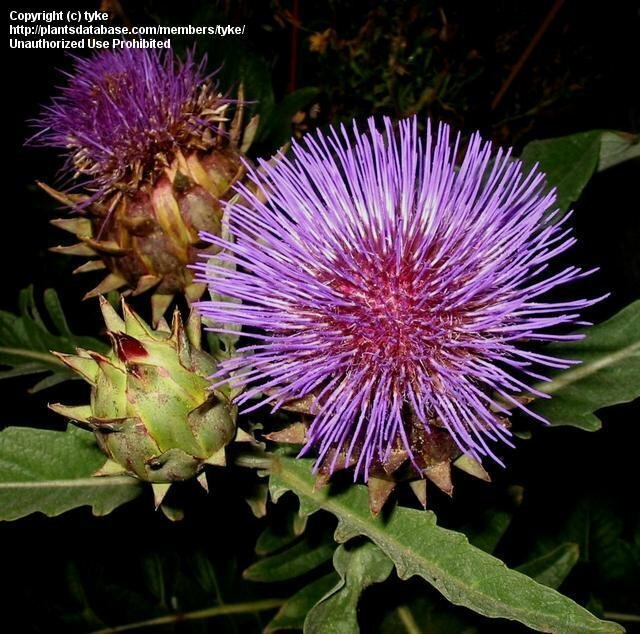 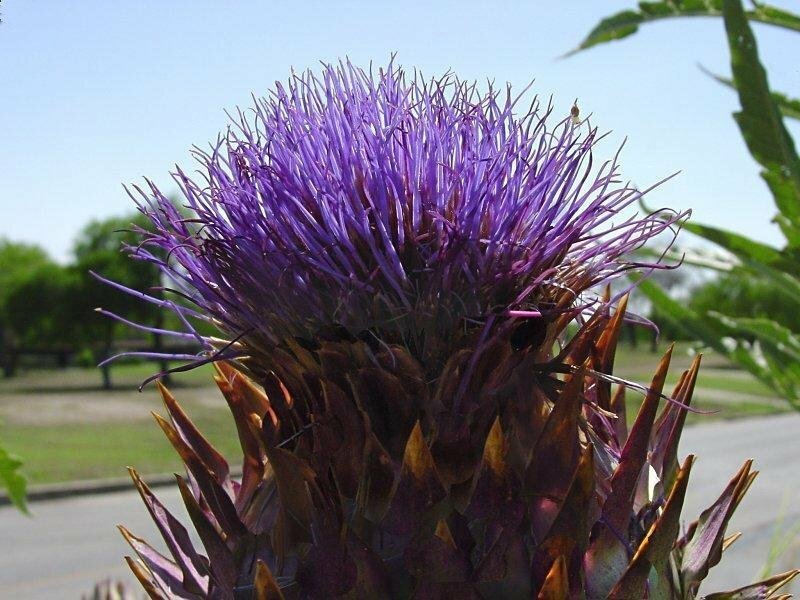 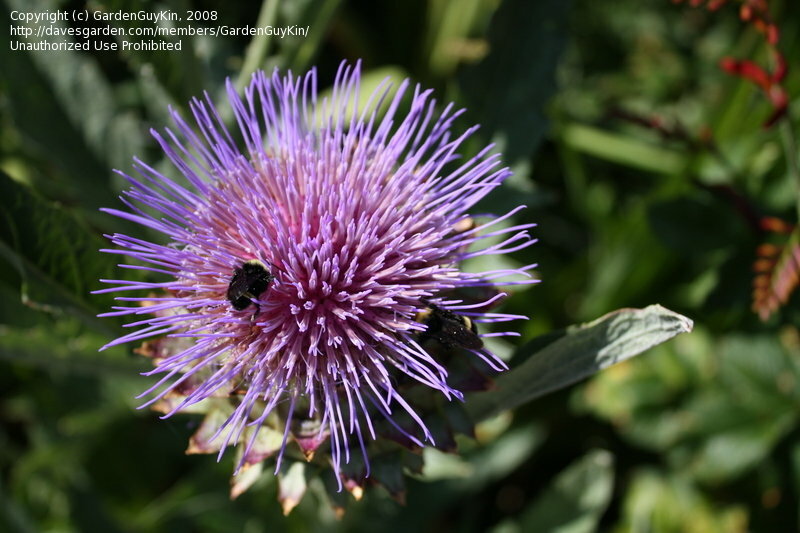 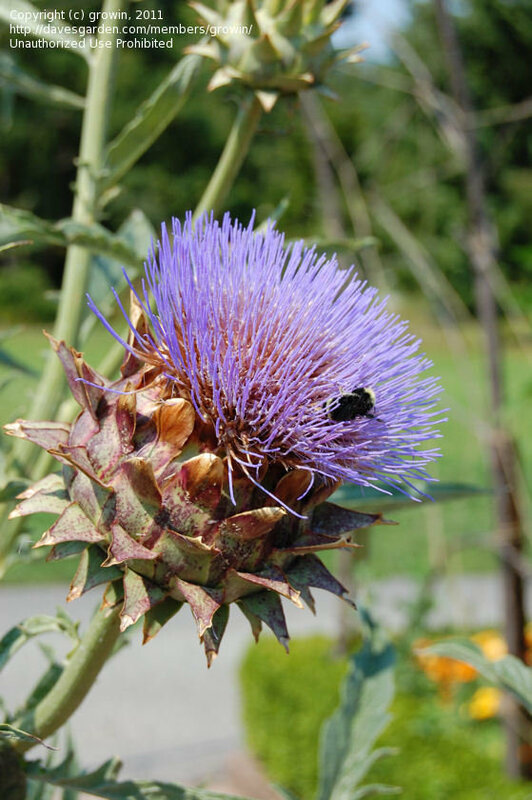 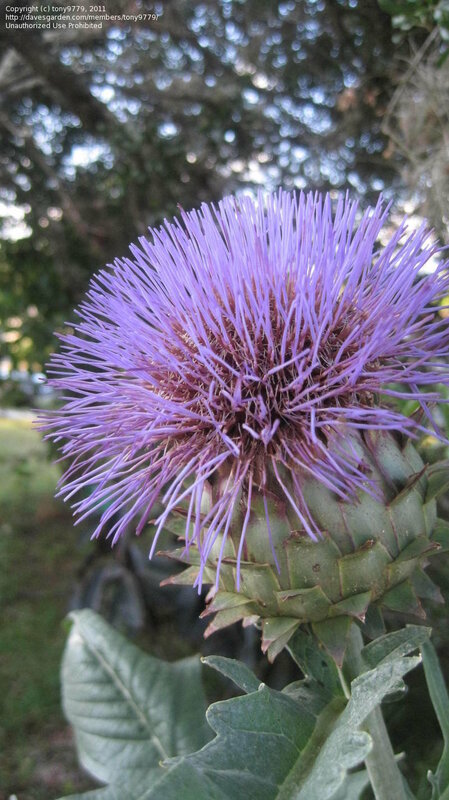 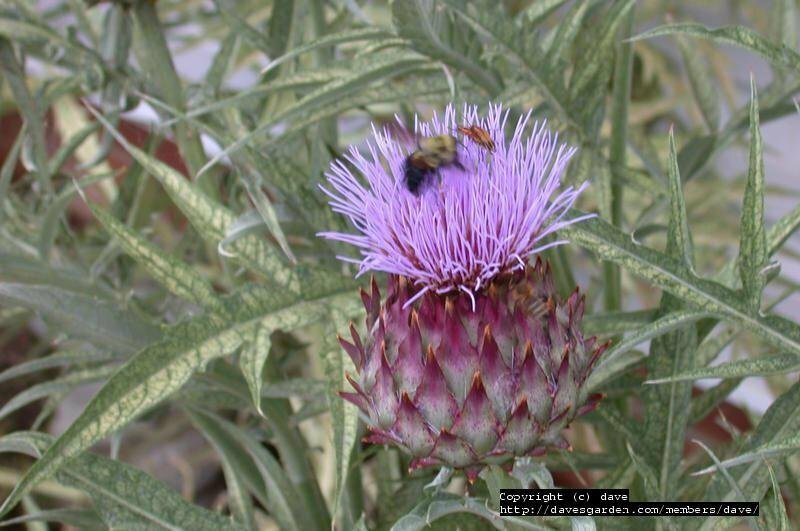 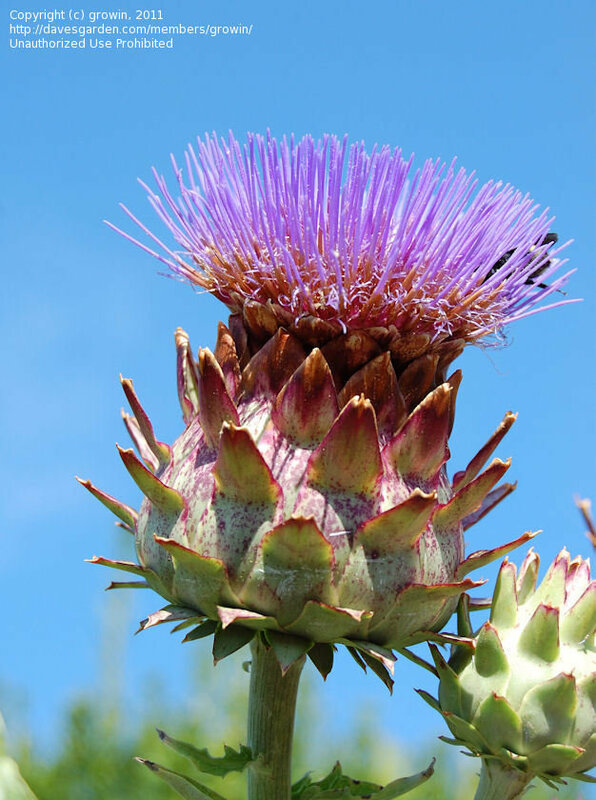 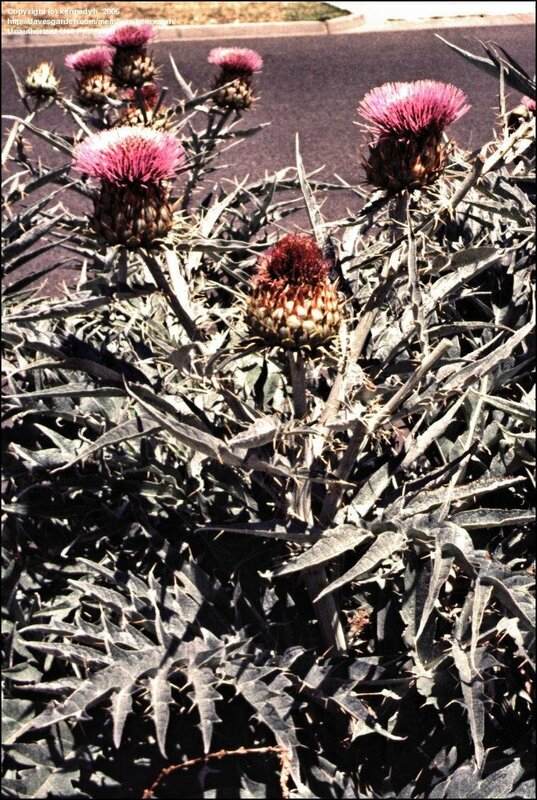 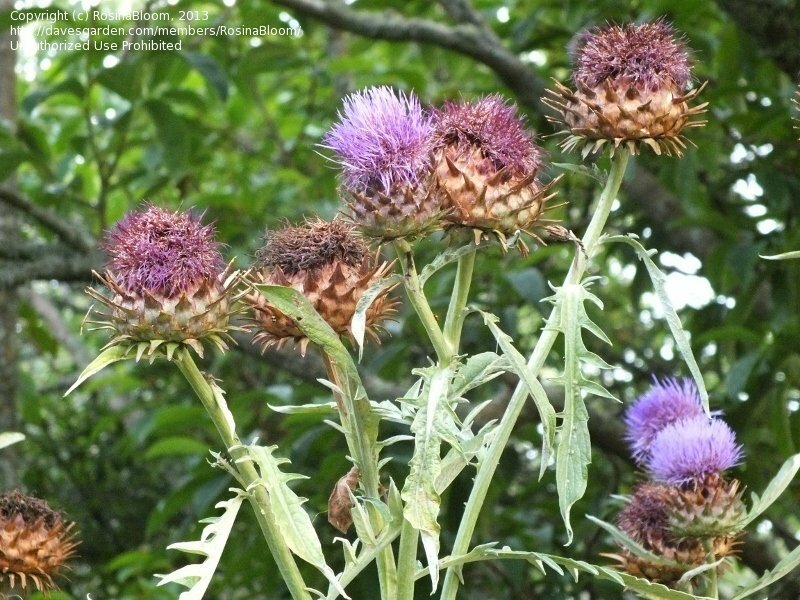 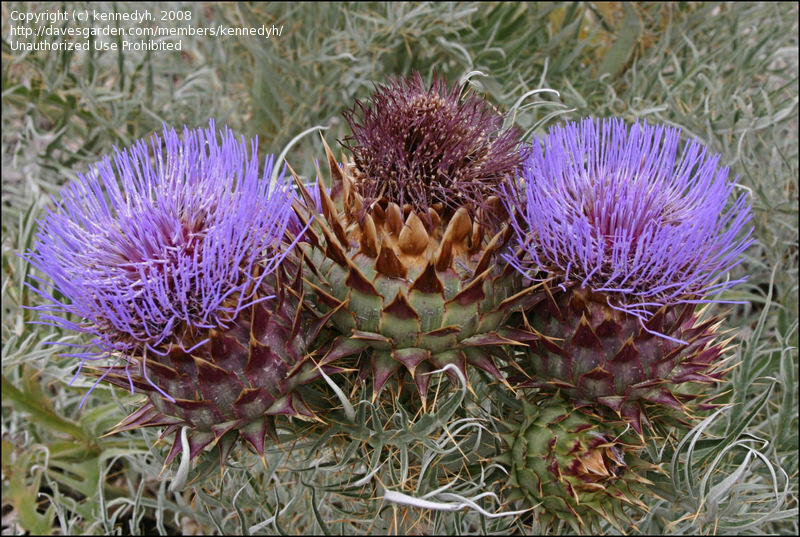 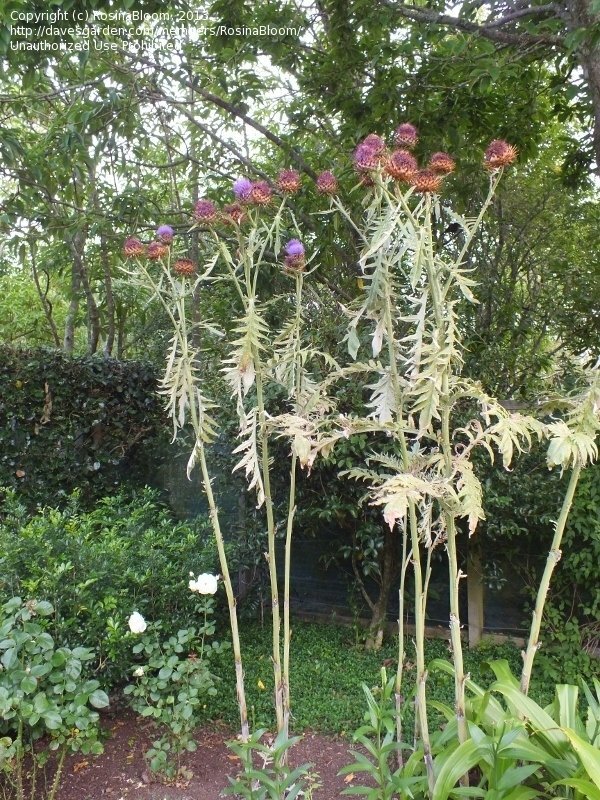 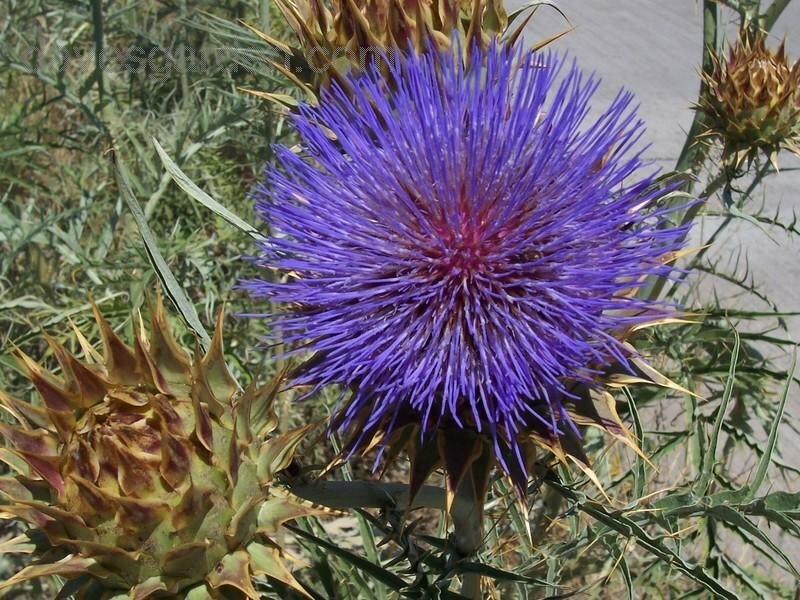 Cardoon, Artichoke Thistle (Cynara cardunculus) flower shown in late April growing at the San Antonio Botanical Garden. 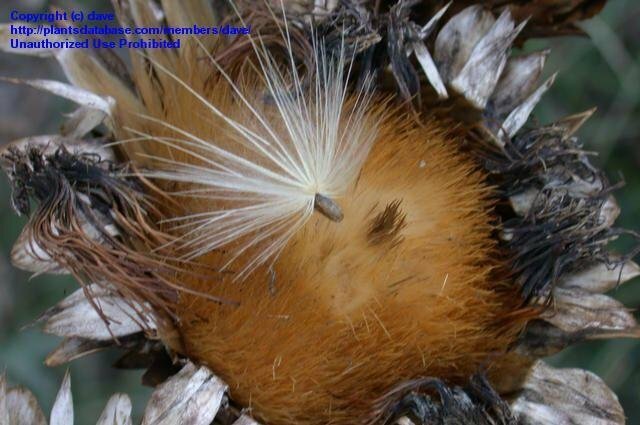 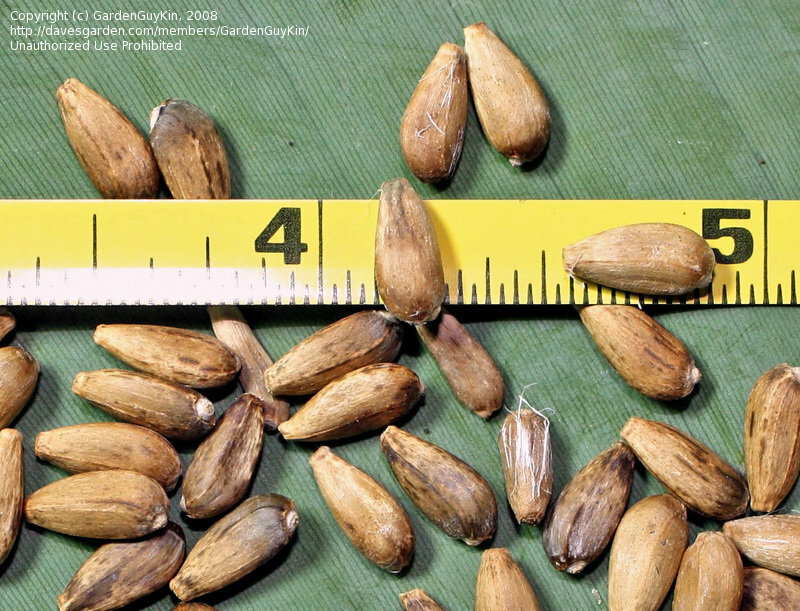 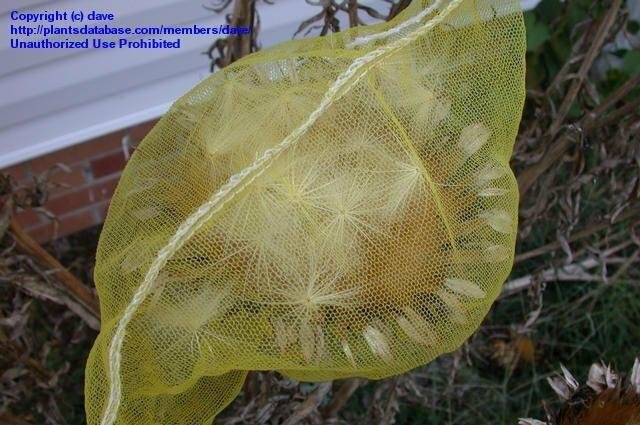 In order to save the seed, you should bag the seedhead and allow it to fully mature. 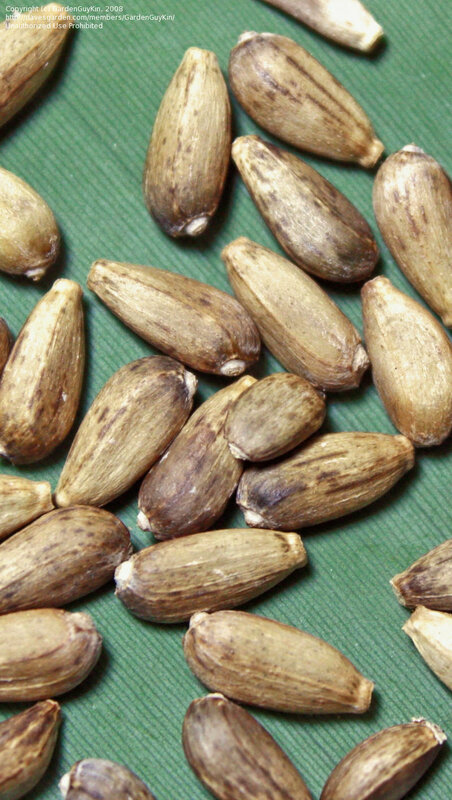 Otherwise, the seeds all fly off one by one. 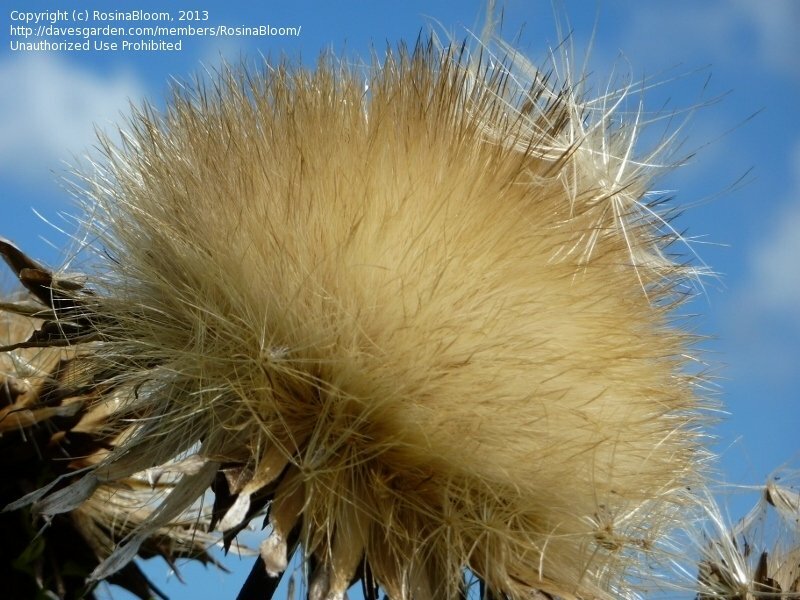 Just the slightest gust of wind will catch the chaff of this seed and carry it off! 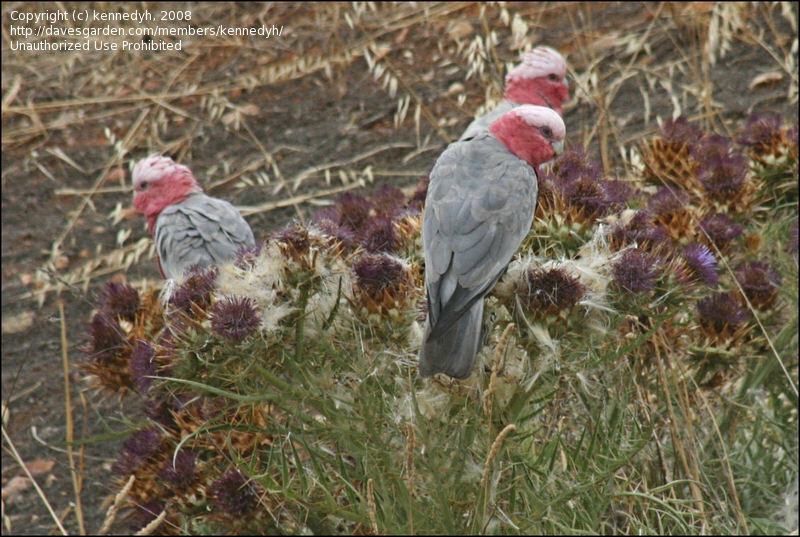 Picture shot in the wild (introduced species). 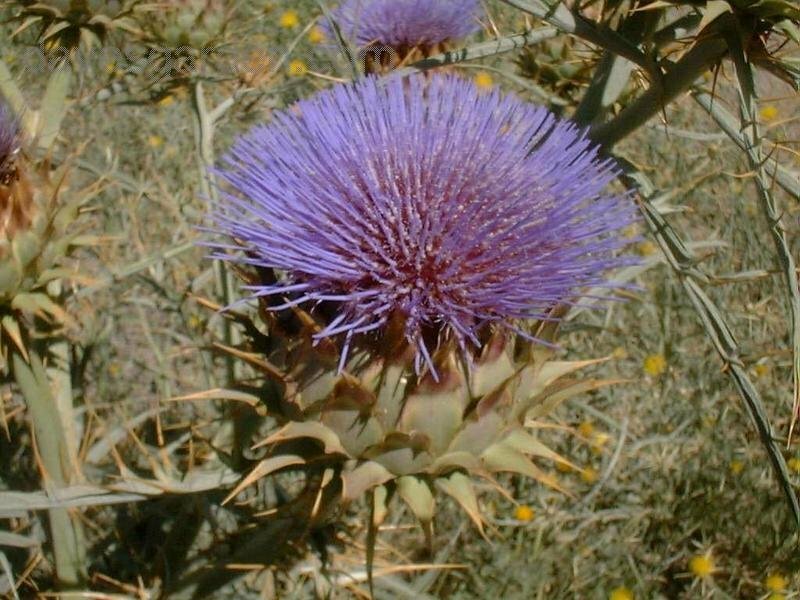 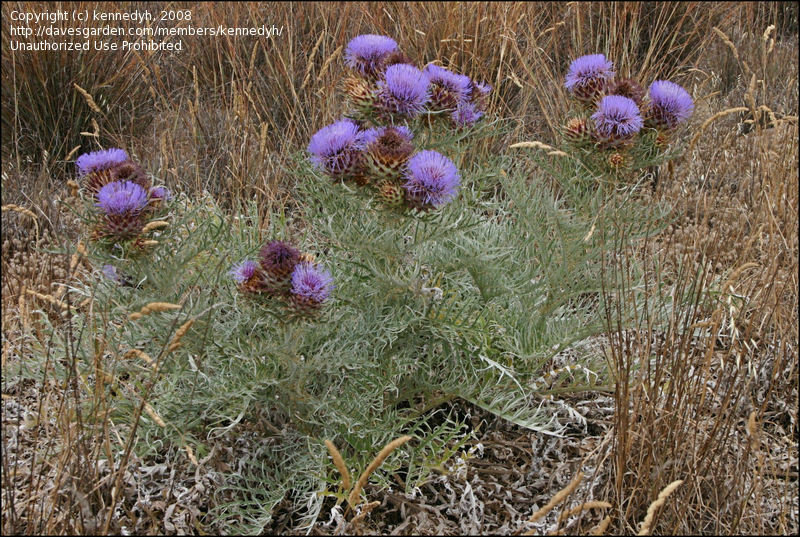 Cynara cardunculus. 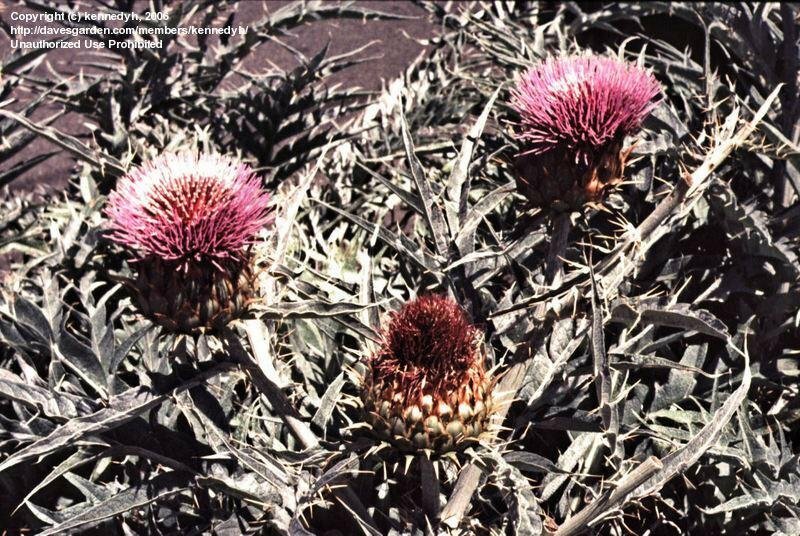 The sp. 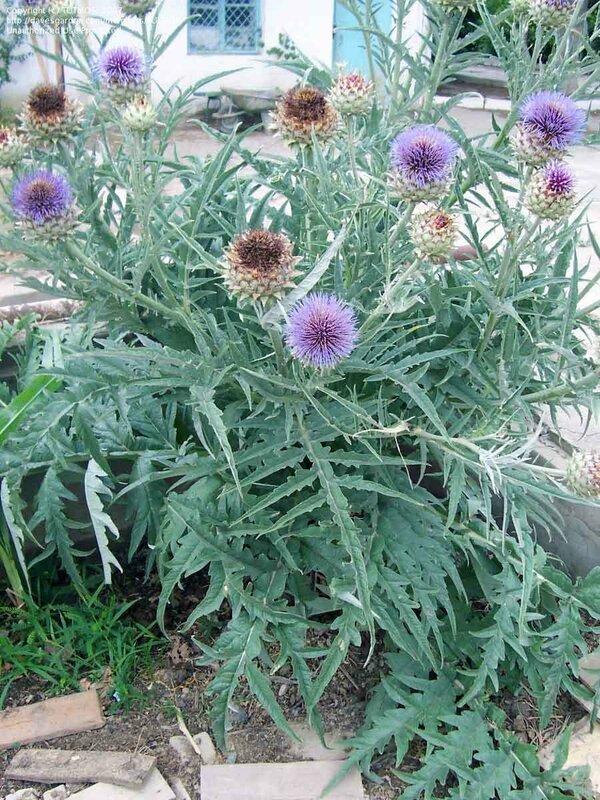 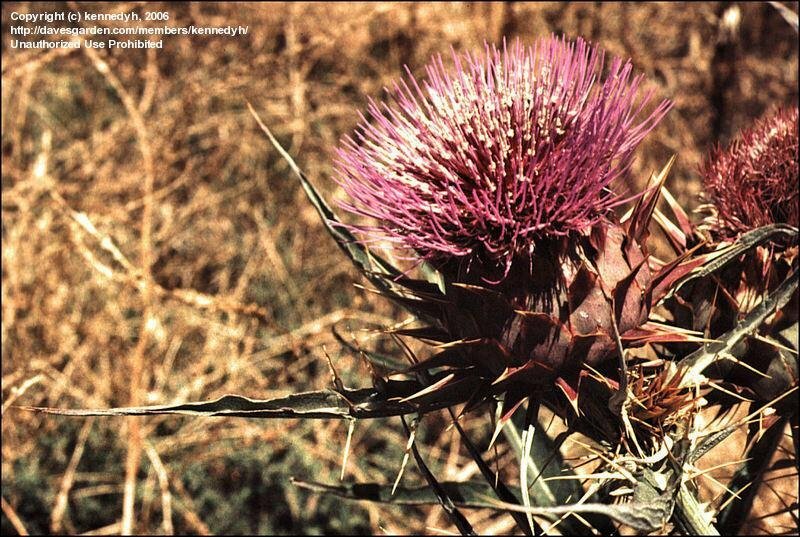 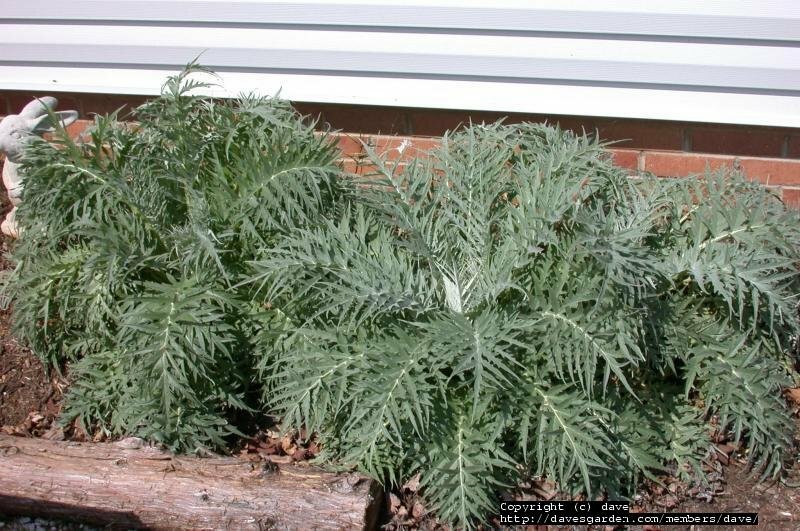 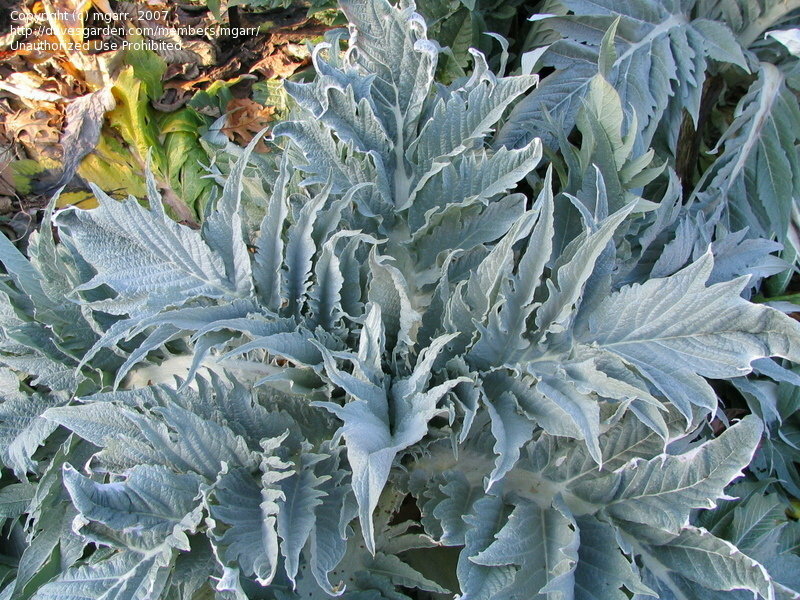 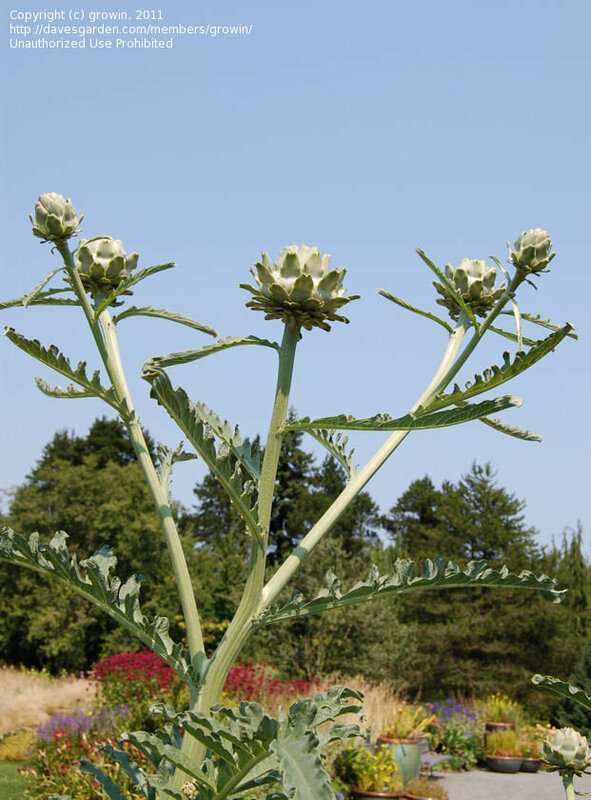 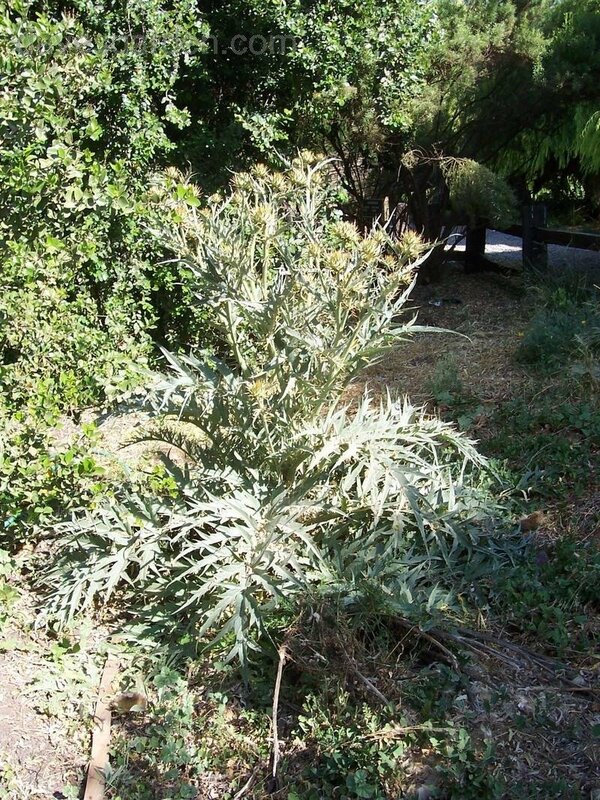 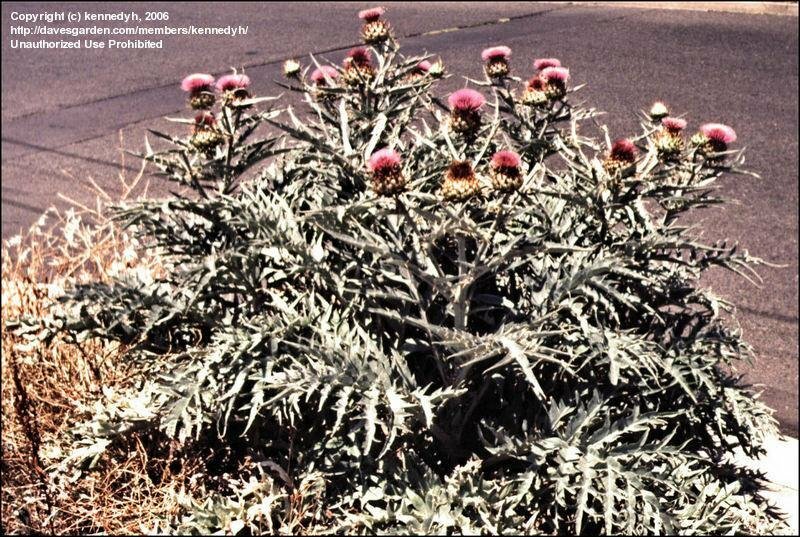 that has naturalized in Chile has very spiny leaves. 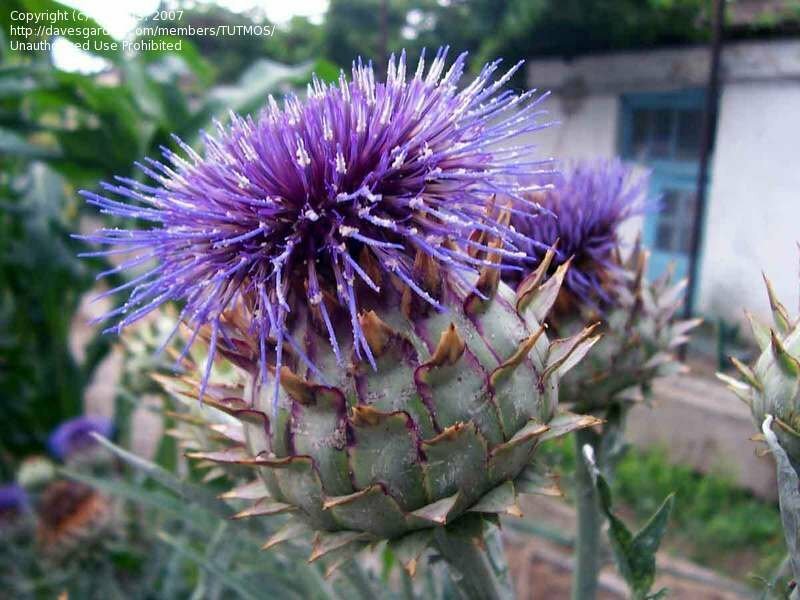 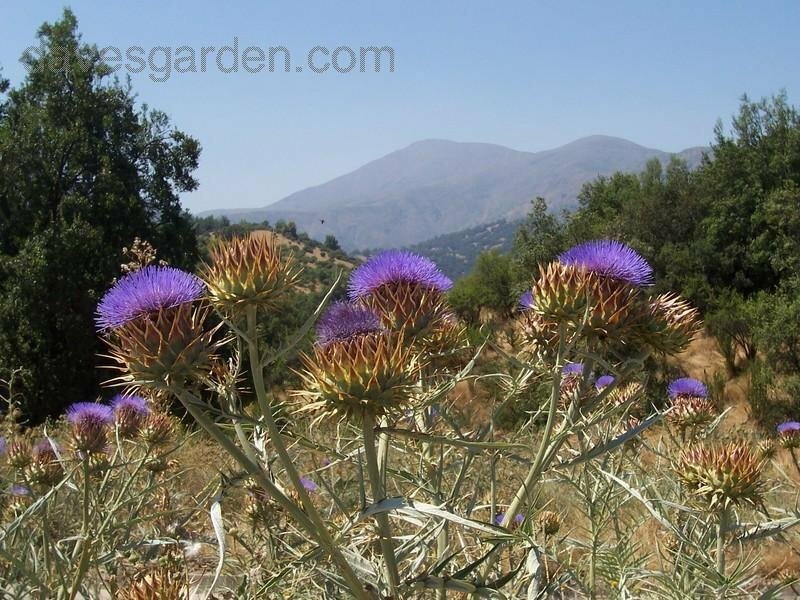 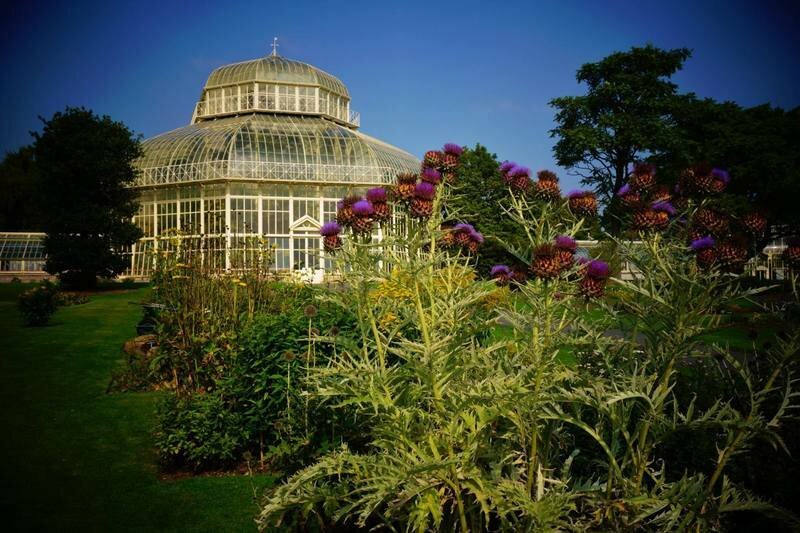 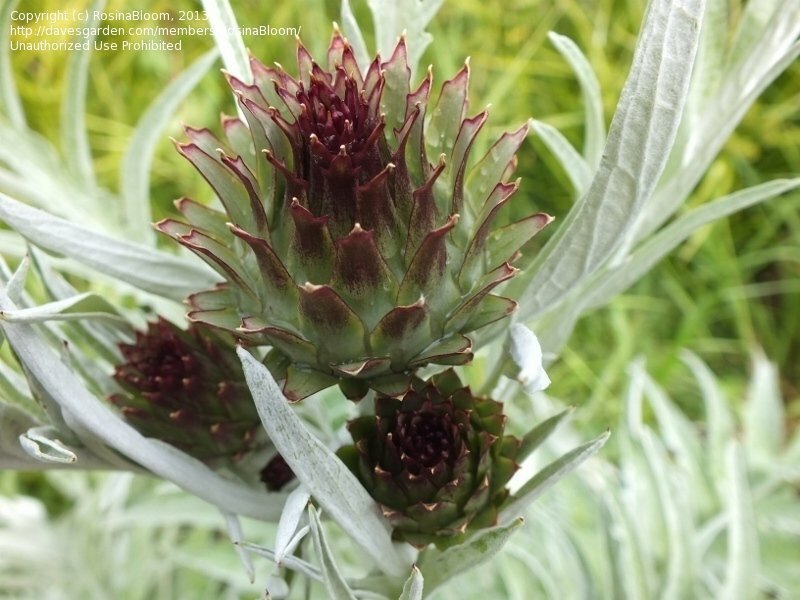 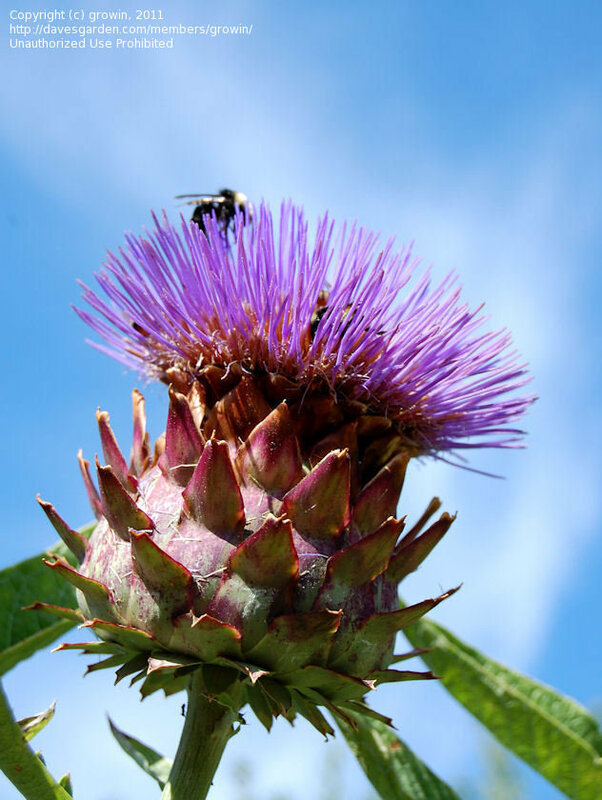 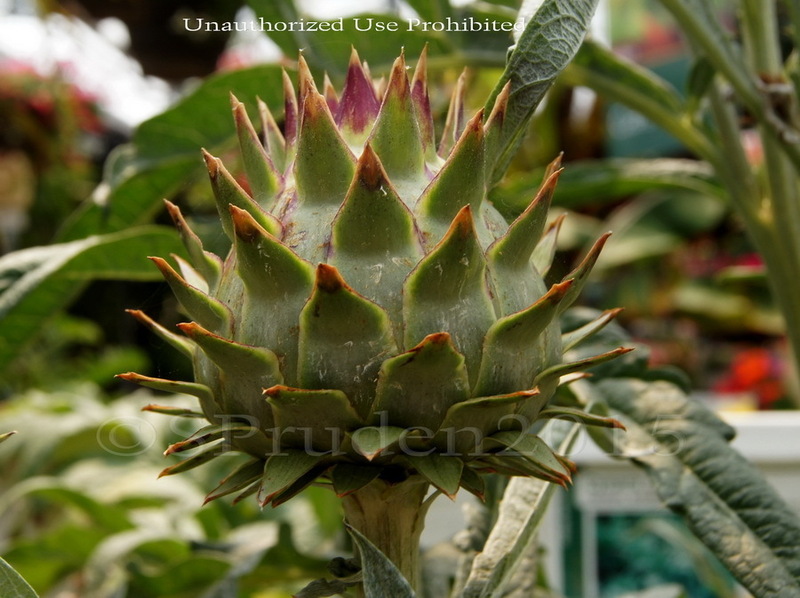 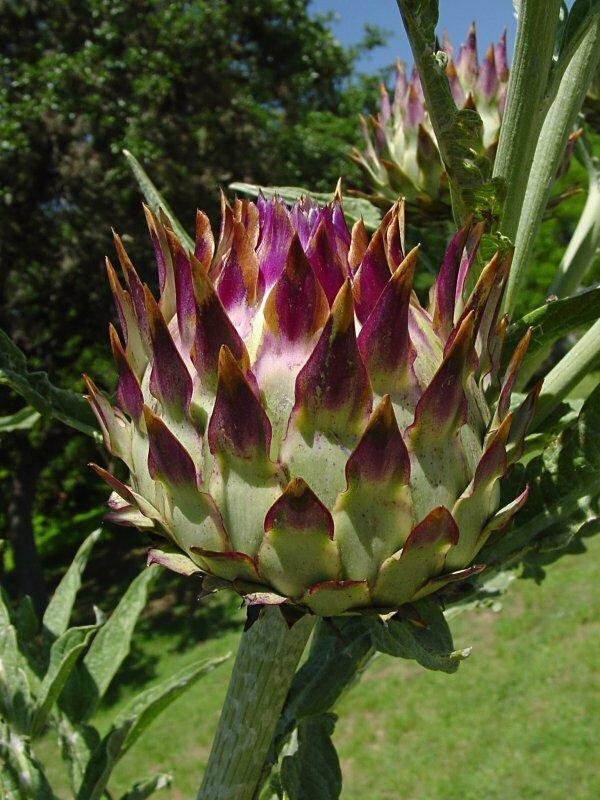 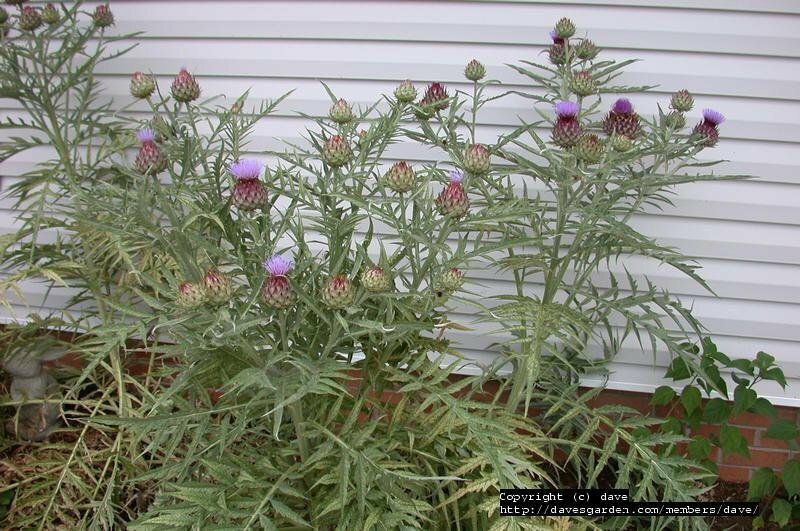 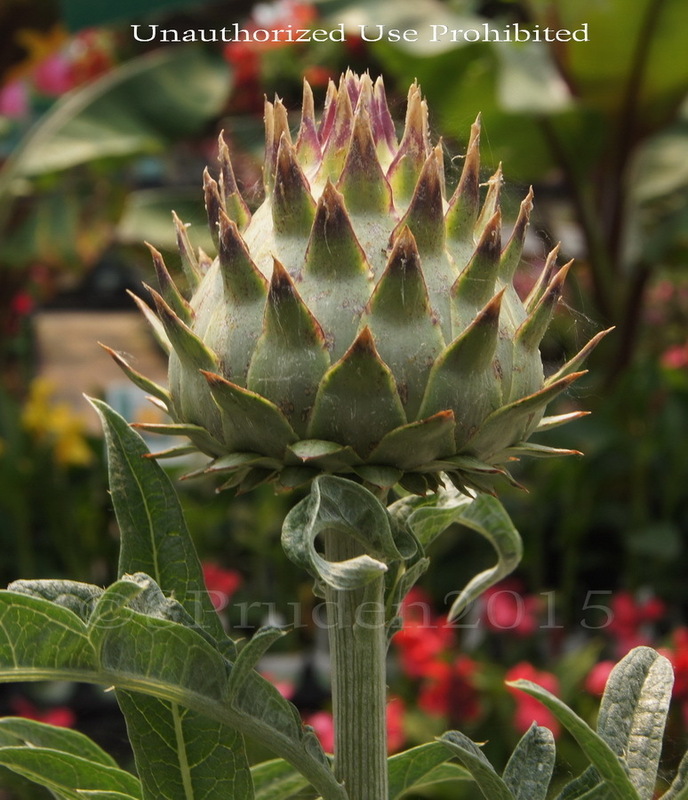 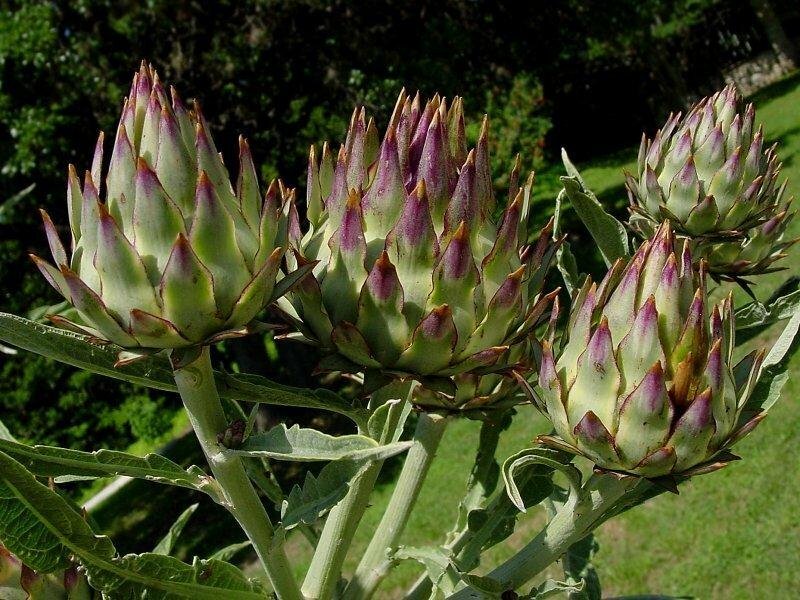 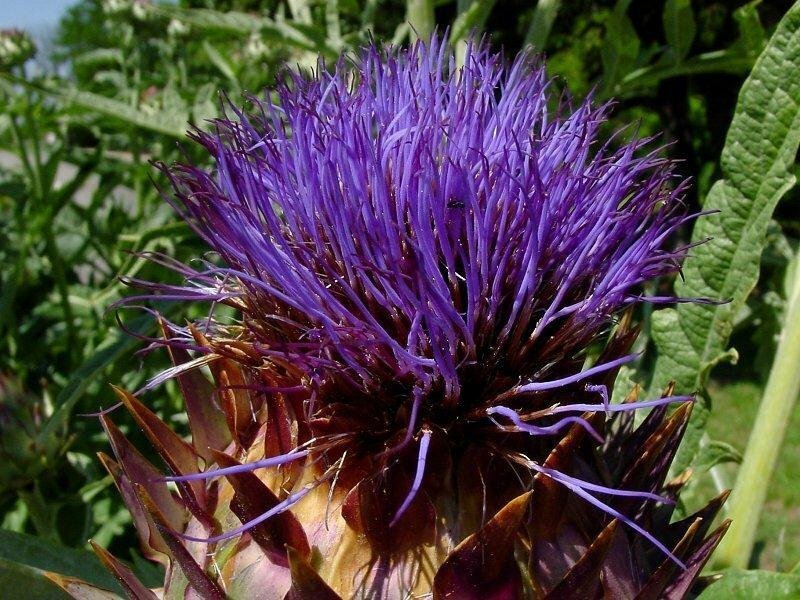 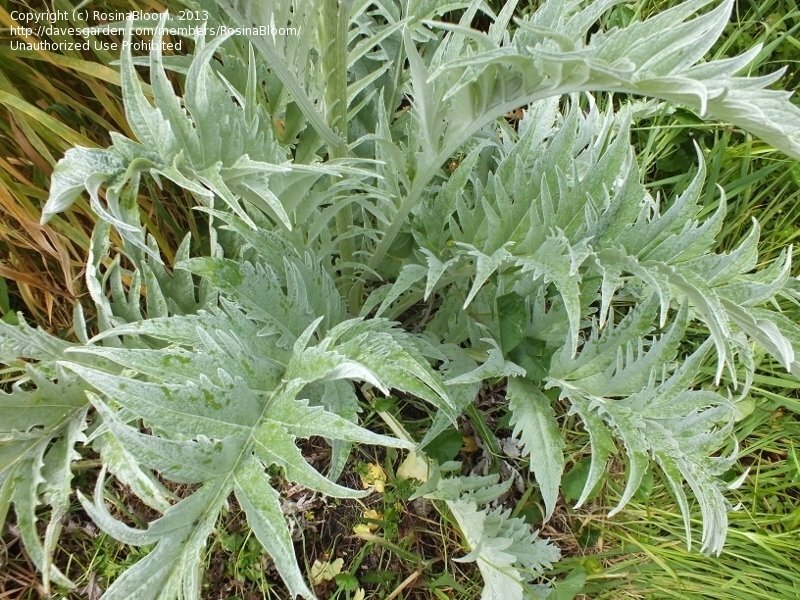 Cardoon, Artichoke Thistle (Cynara cardunculus) just abour ready to bloom ... shown at the end of April. 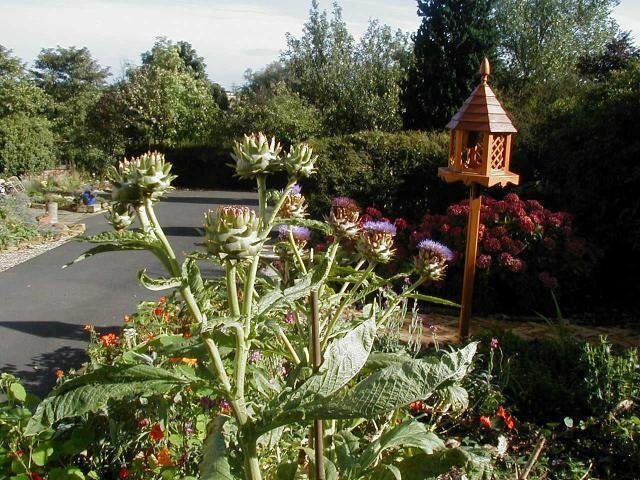 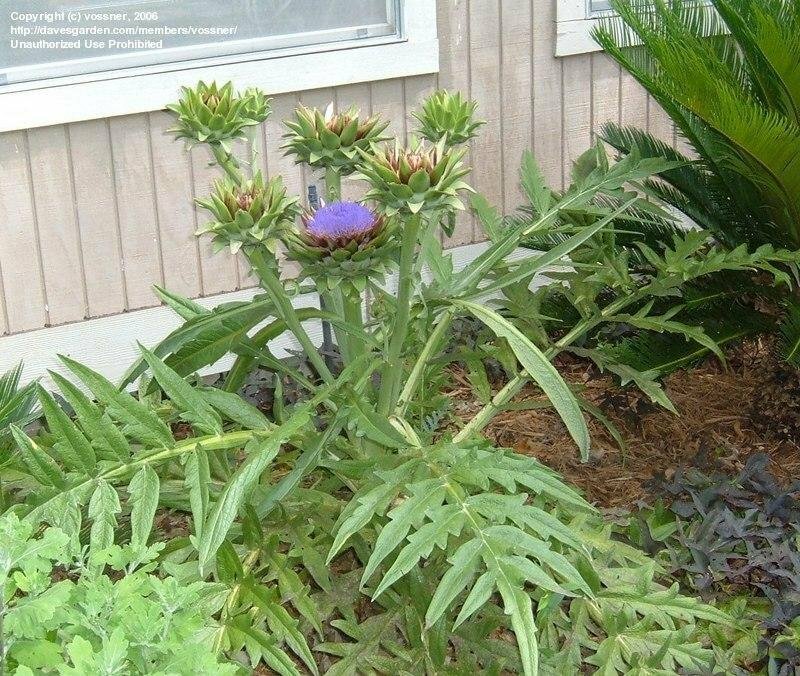 cardoon bloom on 05/01/06. 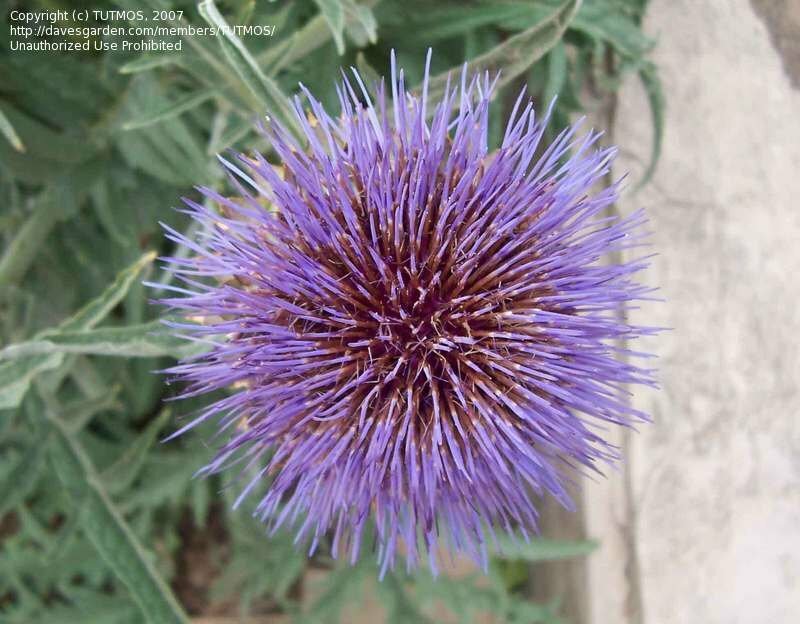 so pretty outside, resisting the urge to cut the flower and bring indoors. 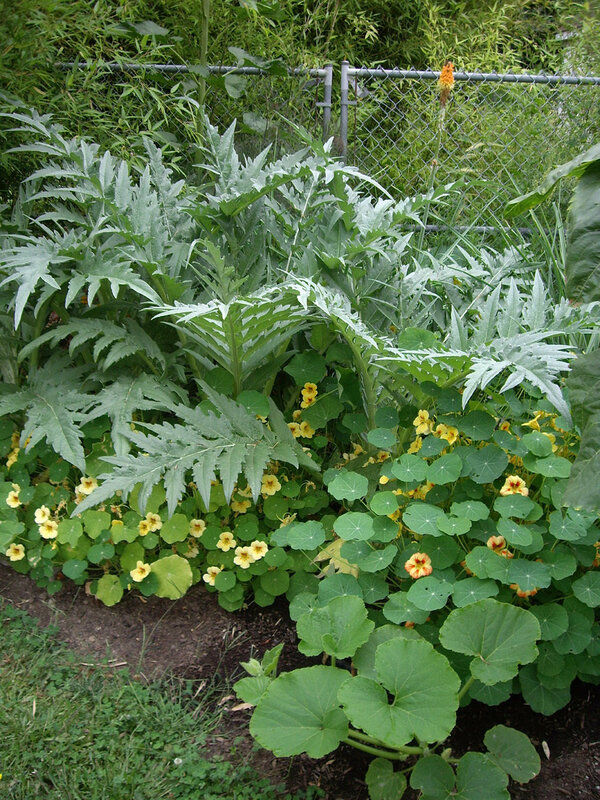 Late July, first few months in the garden. 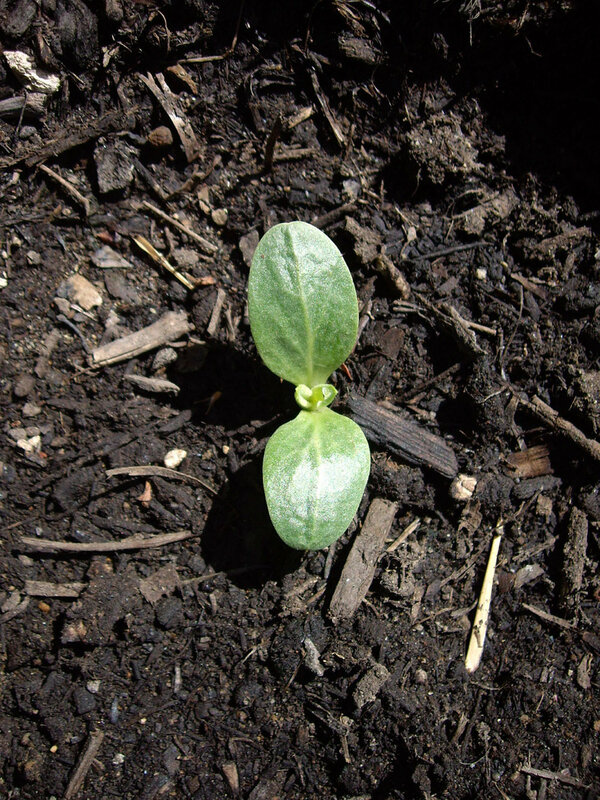 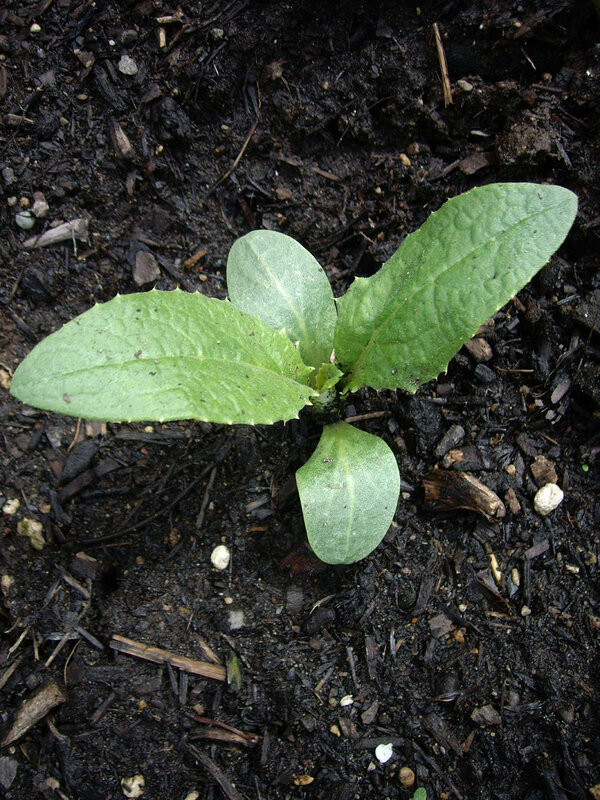 Cardoon germinating in a cold spring about a month after sowing, Mid May. 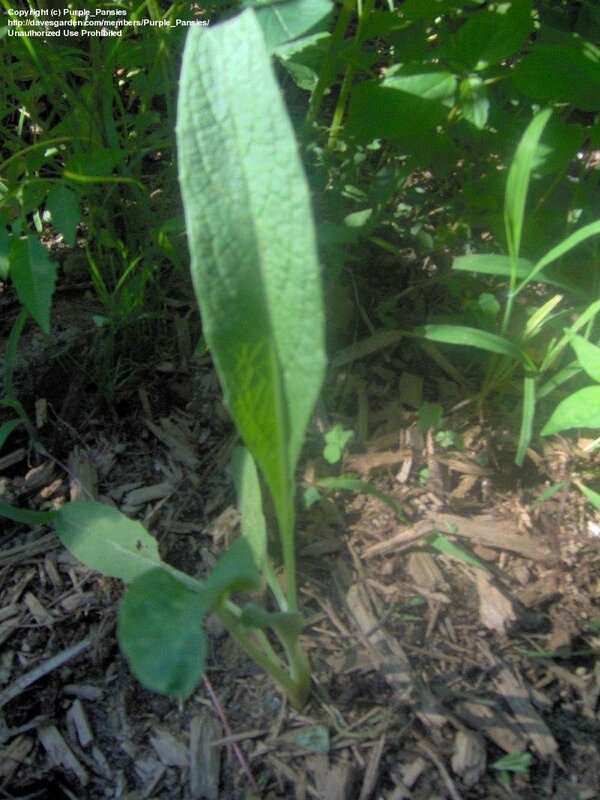 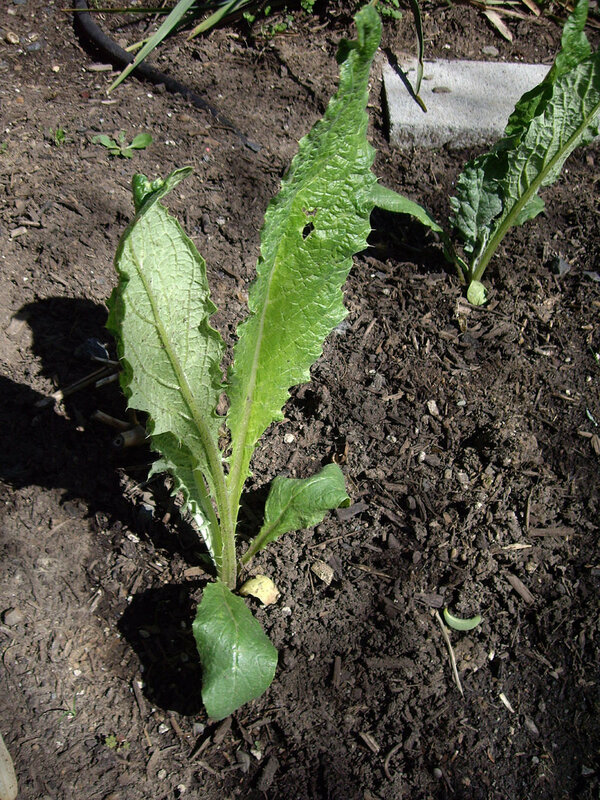 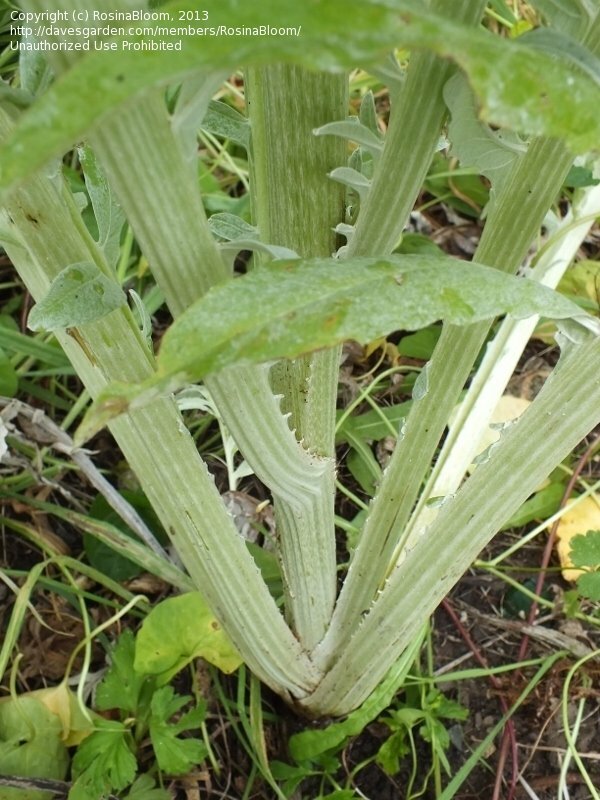 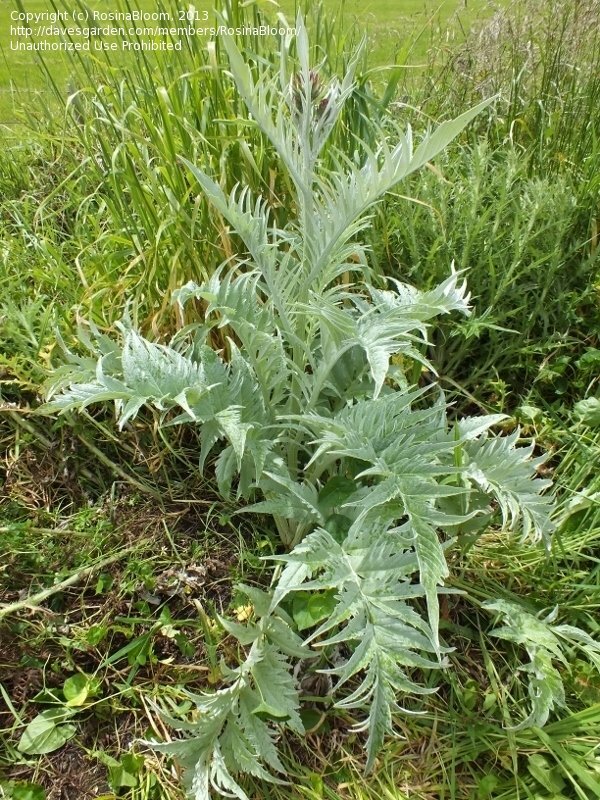 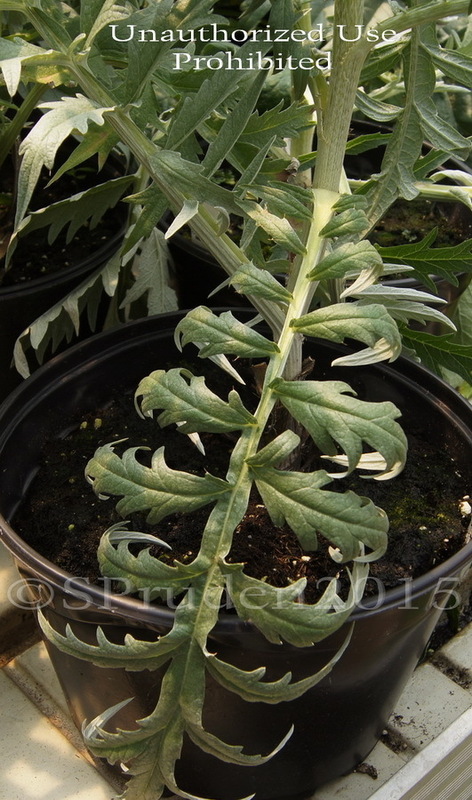 Cardoon with true leaves about a week after starting to germinate, mid May. 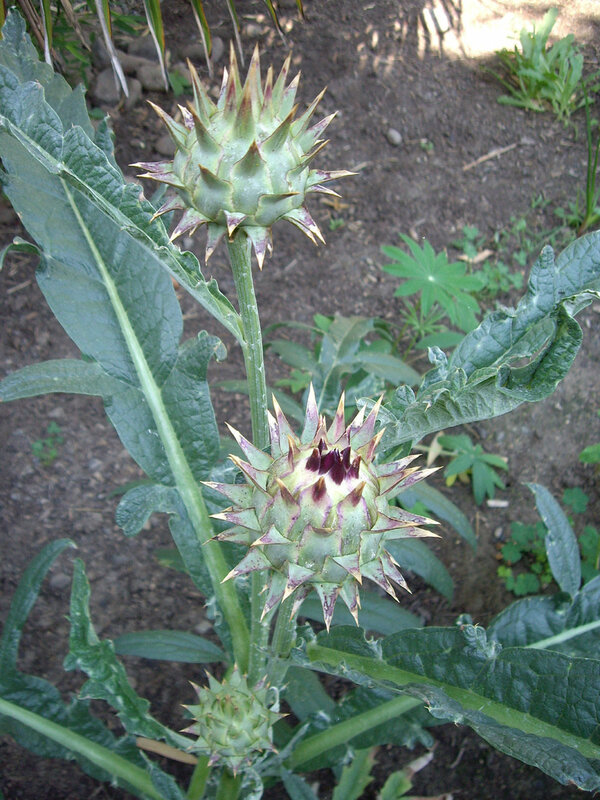 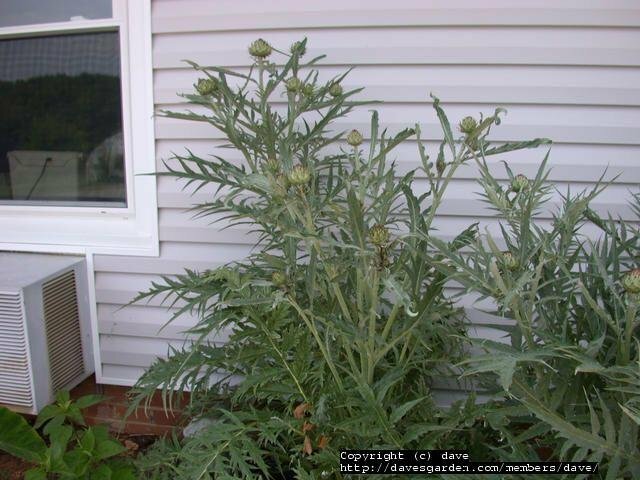 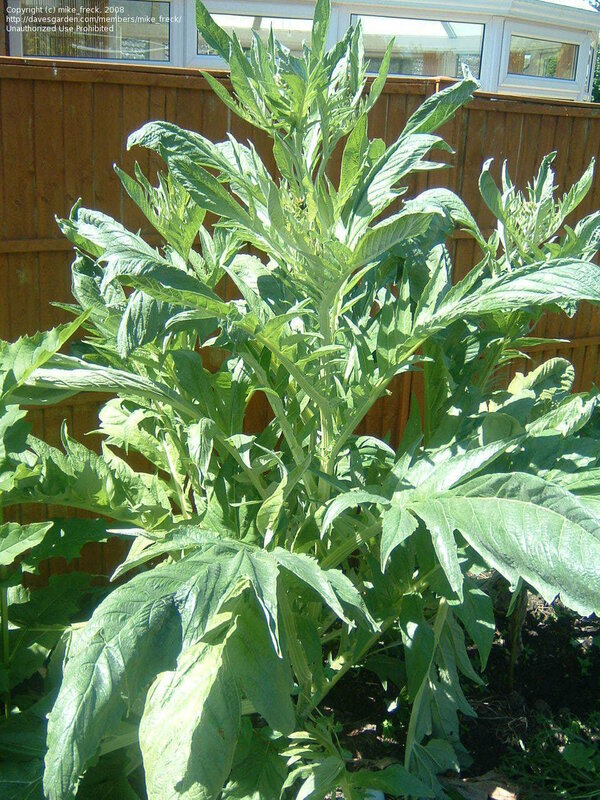 Cardoon from seed, about a month after germinating, mid June. 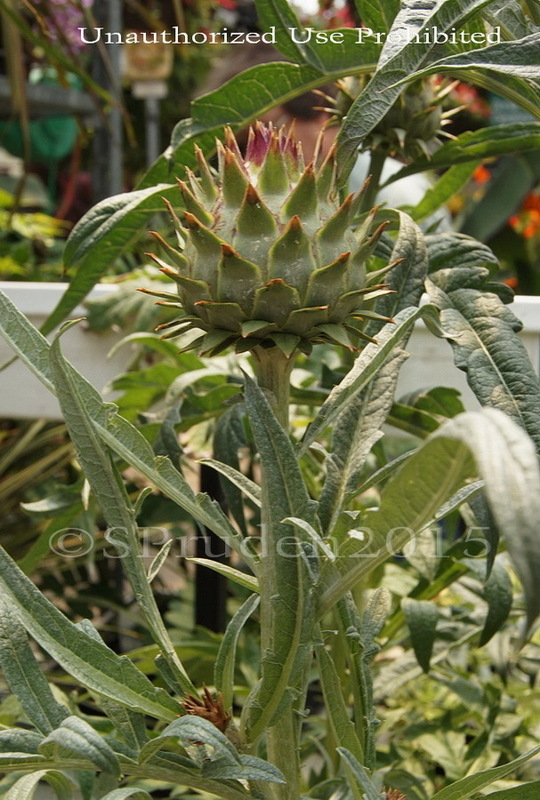 Cardoon from seed (during a generally cool summer), about 2.5 months from germination.